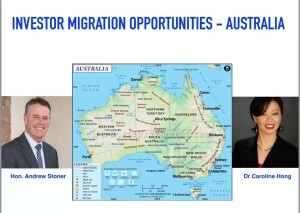 Caroline Hong » Investment Opportunities in Australia – Growing Australia -Why Australia? 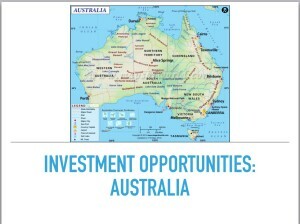 Investment Opportunities in Australia – Growing Australia -Why Australia? Australia continues to be a popular destination to do business and for investment opportunities. Increasingly SMEs (Small & Medium Enterprise), Startups and established family businesses are approaching us and are often referred to our Team by various organisations and individuals, to help them with their Asia strategies, often seeking investor partners at various development stage of their business. Here are the top 5 reasons why Australia? Australia provides a safe, low-risk environment in which to do business. Australia supports world-class, globally significant research and development (R&D) opportunities. Australia’s labour force is among the most skilled and diverse in the world. Australia has deep, strong economic and cultural ties with the fast-growing Asia-Pacific region. Australia is one of the easiest places in the world to do business. 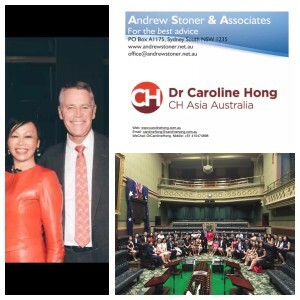 Dr Caroline Hong, FAICD and Hon Andrew Stoner, B.Bus; MBA, work in partnership with a team of experts, business partners and government to help their clients reach their desired outcomes, and complying with Australian government policies. We facilitate strategic partnerships, investments and Asia & China strategies to help Australian businesses grow and expand into the Asia and global markets. We also help overseas investors connect to quality Australian projects for direct investment and/or for business migration purpose. We promote bilateral economics, trade, culture and business between Australia and Asia. Contact us if you need more information. Fees apply. 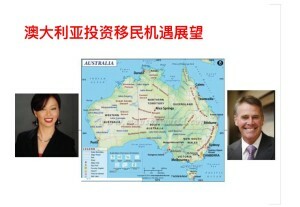 I am Dr Caroline Hong, CEO of CH Asia Australia Pty Ltd, and Chairman of China HR (Australia). My services are utilised as Adviser, Consultant and Company Director for various start-ups and established companies across diverse sectors, for short or long term projects. My special interest involves connecting Australian businesses to strategic Asia and China partners, hence helping to grow the local economy, creating jobs and benefitting the people in both countries.